Womanfest, a non-profit organization offering empowering experiences for Olympic Peninsula women, and Olympic Cellars Winery will host a local celebration of International Women’s Day highlighting the efforts of MADRE, an international women’s human rights organization, to deliver medication and medical supplies to Haitian earthquake victims via the Dominican Republic. Women are invited to gather at the winery on Wed., March 10 beginning at 6 p.m. and share homemade soup, bread and wine by the glass. 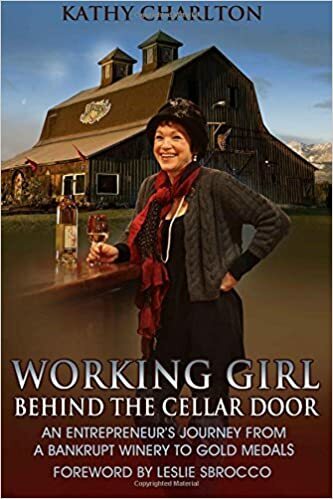 At 7 p.m. Olympic Cellars Owner Kathy Charlton will give a brief history of the celebration of International Women’s Day on Olympic Peninsula, and Womanfest Board Member Karen Hanan will introduce a video produced by MADRE specifically for the event. MADRE’s efforts to design and carry out relief efforts in Haiti in partnership with Zanmi Lasante, a Haitian healthcare organization, exemplifies what International Women’s Day is all about – the economic, political and social achievements of women. We want to recognize these efforts, educate ourselves and find opportunities to support the Haitian women who are caretakers of their communities. A suggested $10.00 donation will support MADRE’s relief efforts. In addition, Olympic Cellars will donate 30% of revenues from purchases of wine by the glass. MADRE works in partnership with community-based women’s organizations worldwide to address issues of health and reproductive rights, economic development, education and other human rights. According to MADRE board member Marie St. Cyr and Yifat Susskind, MADRE's policy and communications director, it is not enough in the aftermath of the earthquake to ensure that Haitian women receive aid. Women in Haitian communities must also be integral to designing and carrying out relief efforts. When relief is distributed by women, it has the best chance of reaching those most in need. That’s not because women are morally superior. It is because their roles as caretakers in the community means they know where every family lives, which households have new babies or disabled elders, and how to reach remote communities even in disaster conditions. Moreover, women in the community have expertise about the specific problems women and their families face during disasters. Rather than replicating the work of existing organizations, relief and reconstruction programs should leave resources and training in the hands of community women who thereby become better equipped to rebuild their lives and communities on a stronger foundation. What Haiti needs most in the long-term is the resilience that comes from having responsive democratic government and vibrant health, education and social institutions. MADRE is working with women in the wake of this earthquake to build that resilience. For further information about the International Women’s Day celebration, call Olympic Cellars at 360.452.0160 or visit http://www.olympiccellars.com/.